Stabilizer muscles keep the alignment of joints and posture during exercise. They also provide stability while bigger primary movers and agonist muscles are contracting. 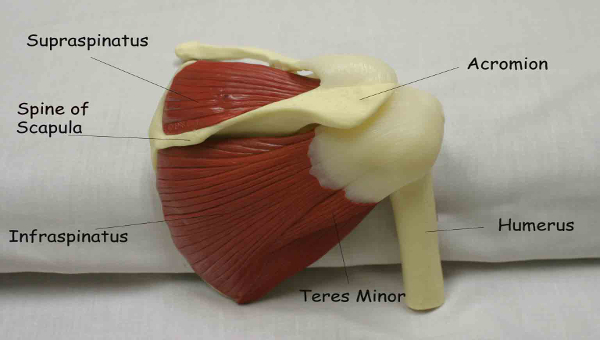 The figure above shows the stabilizer musculature of the rotator cuff. The humerus is the bone of your upper arm that sits in the socket of your rotator cuff. Without the stabilizer muscles working, the humerus would be very unstable. Weak stabilizer muscles increase the chance of injuries.